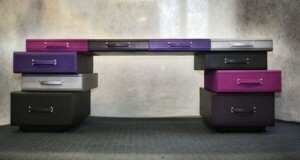 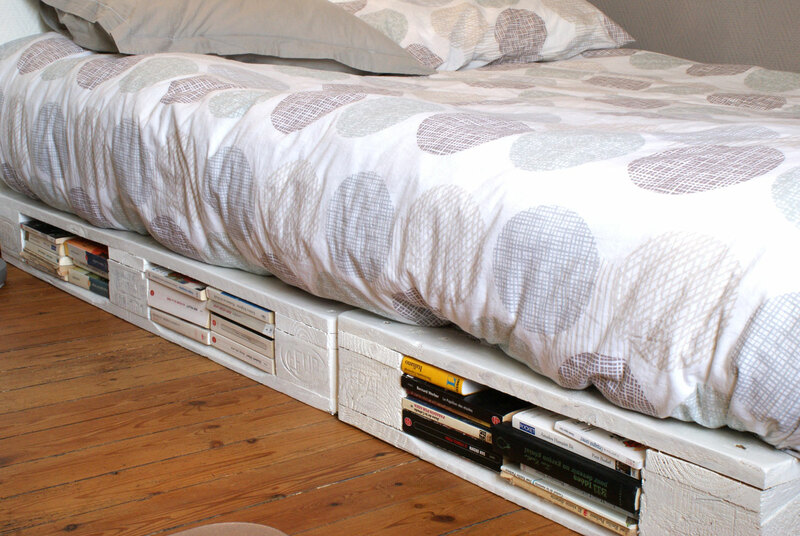 Bed frame is one of the most expensive furniture in every house. 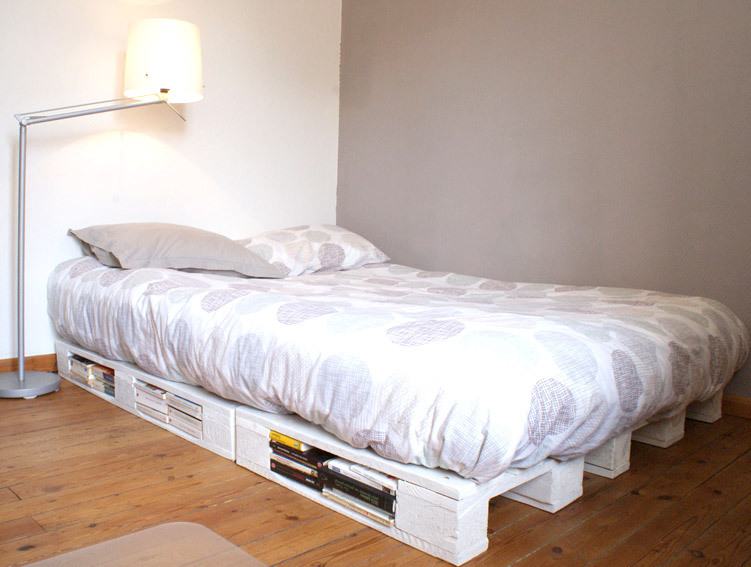 People hardly can afford it but the bedroom is not complete without it. 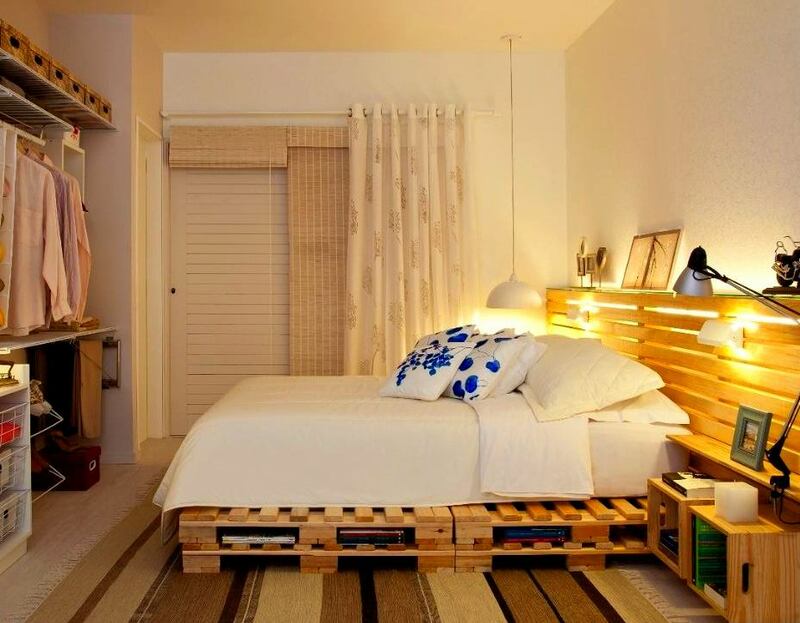 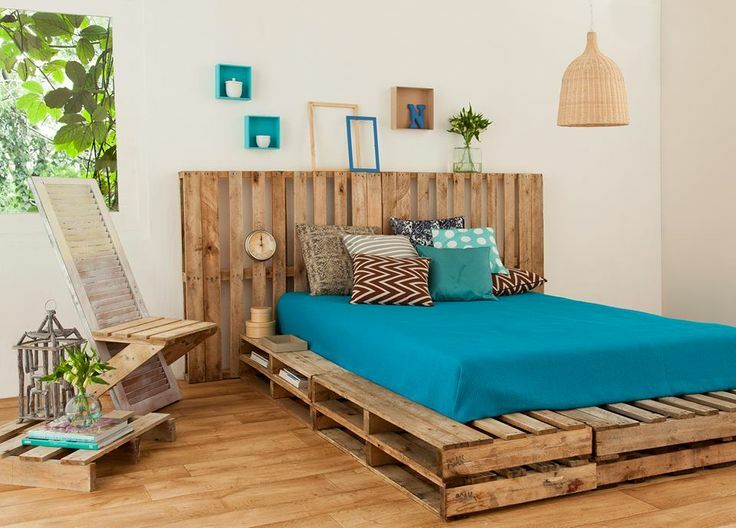 Instead of factory frame, go green and use wooden pallets to make your bedroom looks amazing and very important – to save money. 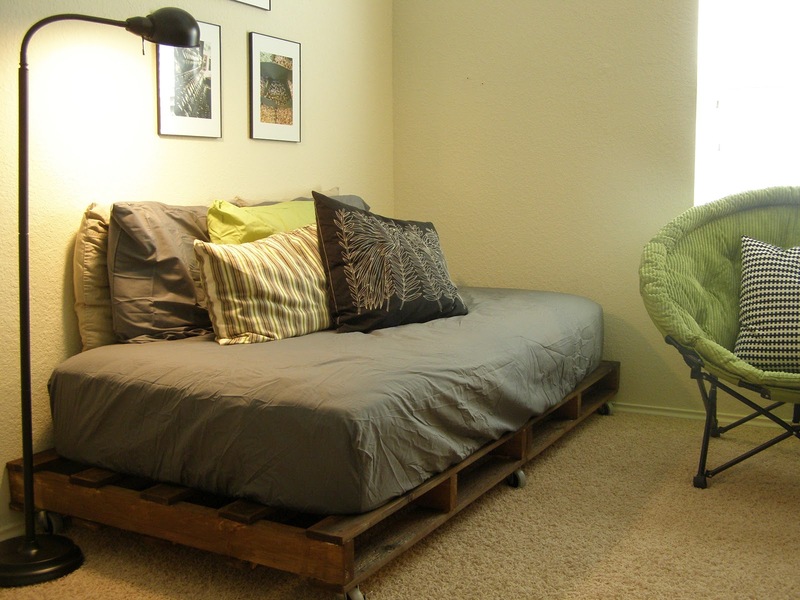 You can find them in many sizes and shapes. 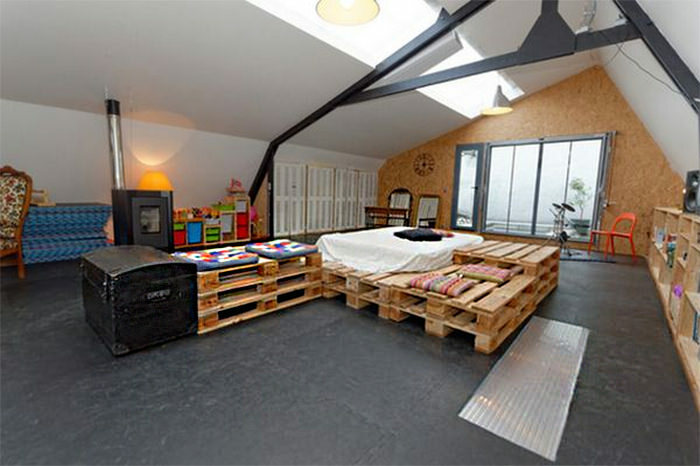 As a base for mattresses they have lots of advantages. 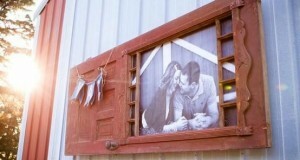 They are affordable and operating with them is a peace of cake. 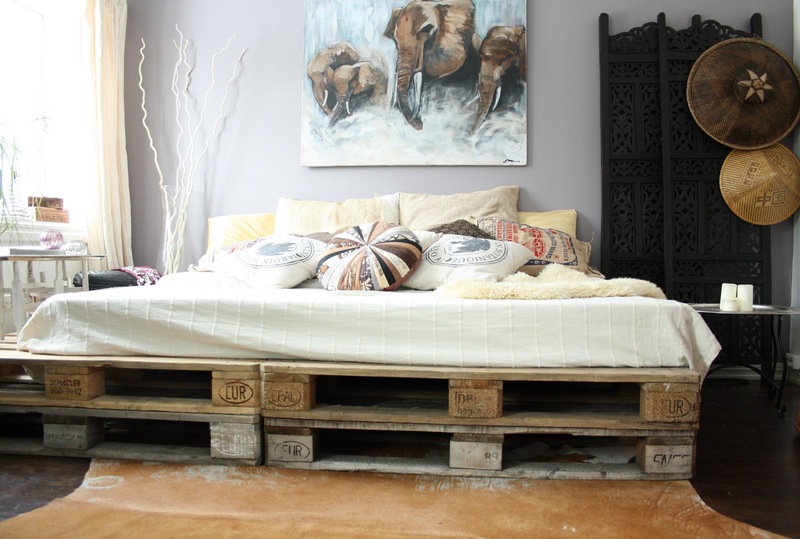 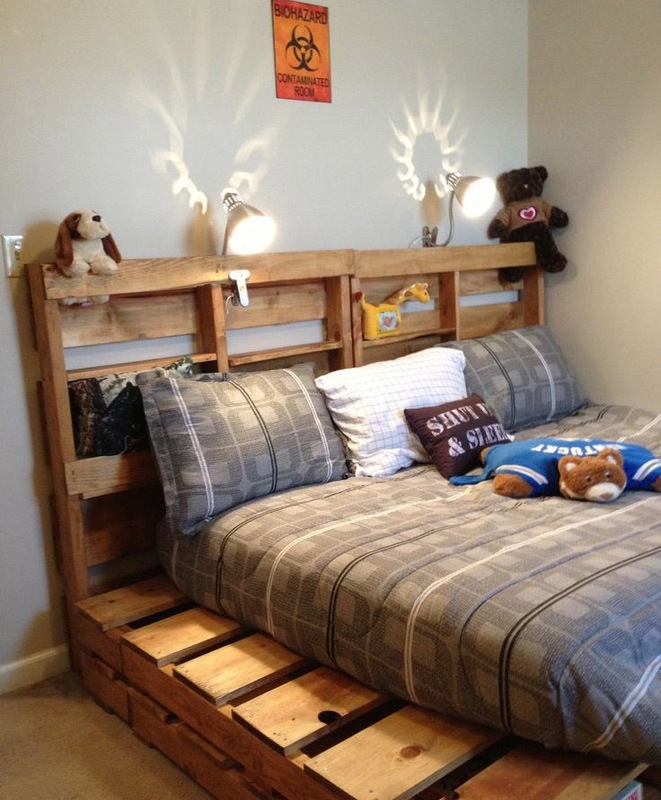 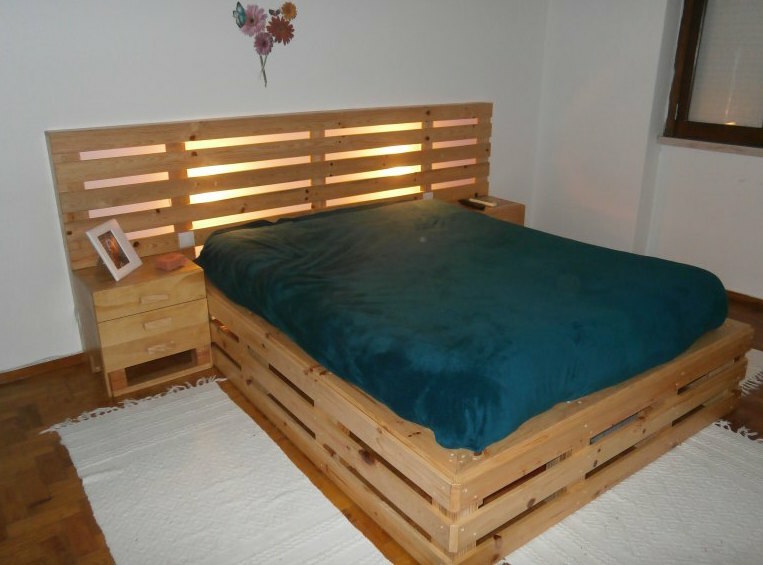 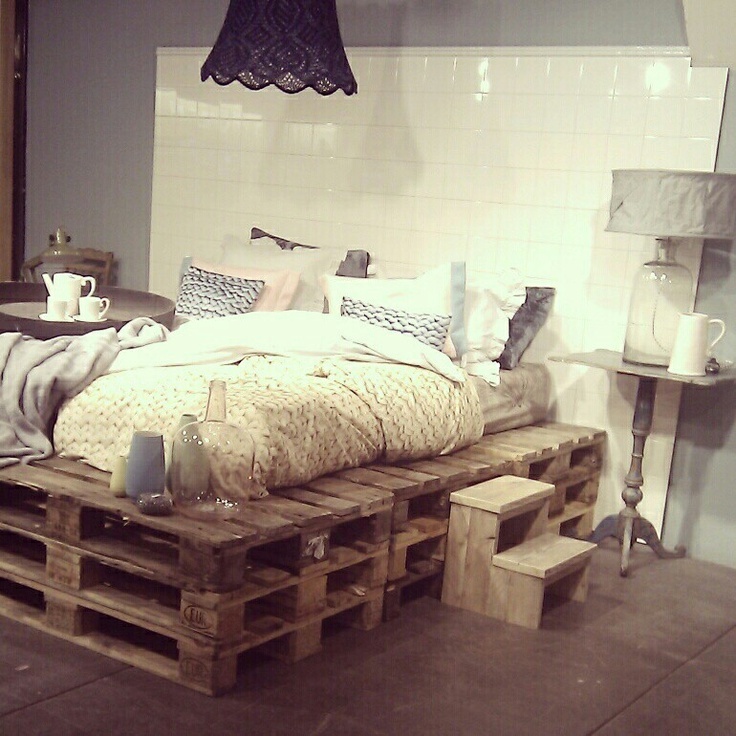 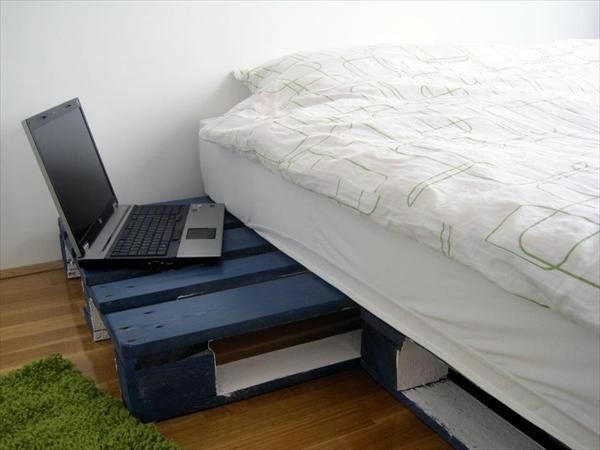 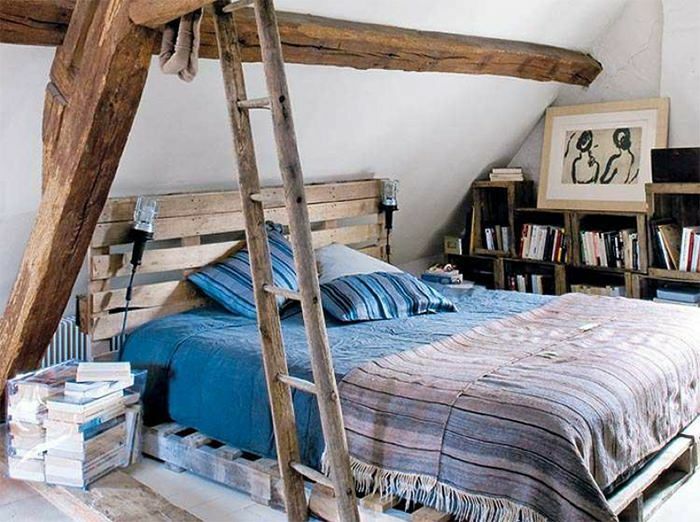 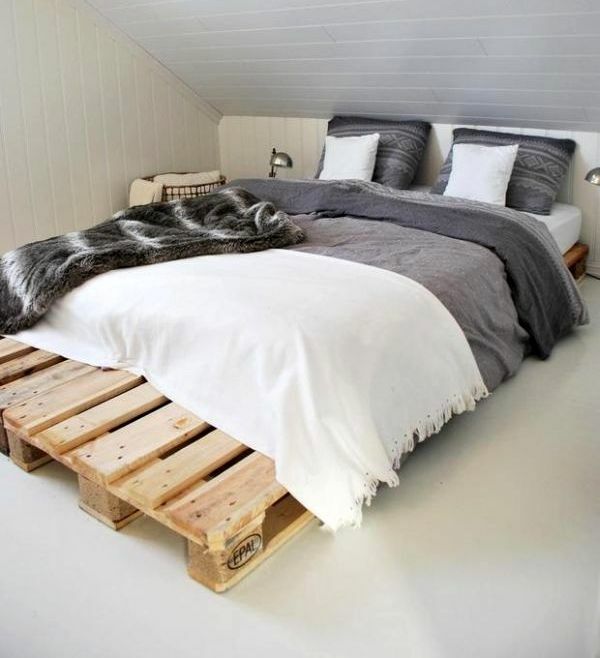 Look down for these gorgeous pallet bed frame ideas! 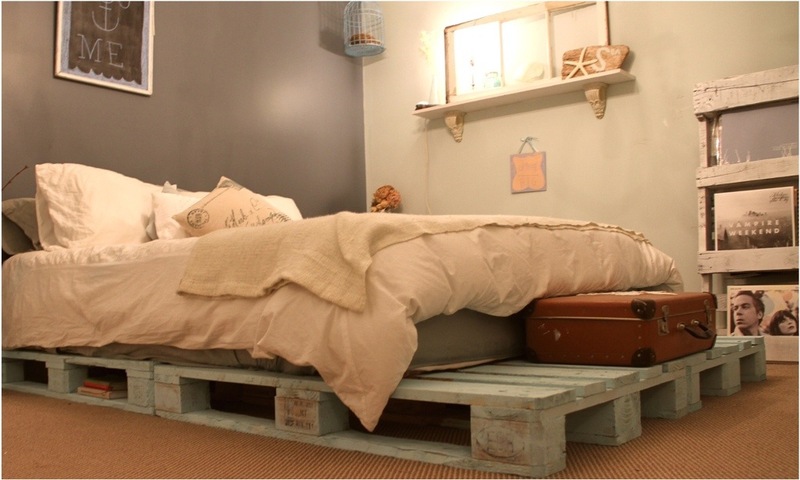 The mattress can be placed over the diy pallet bed frame and then the cover and pillows will make your comfort bed ready for use. 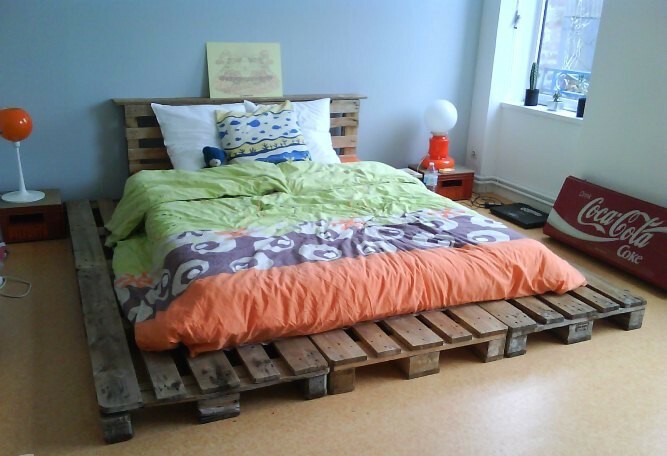 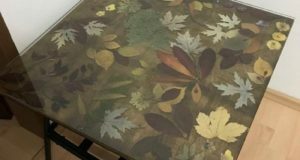 In that way you will reuse a pallet and turn the trash into treasure. 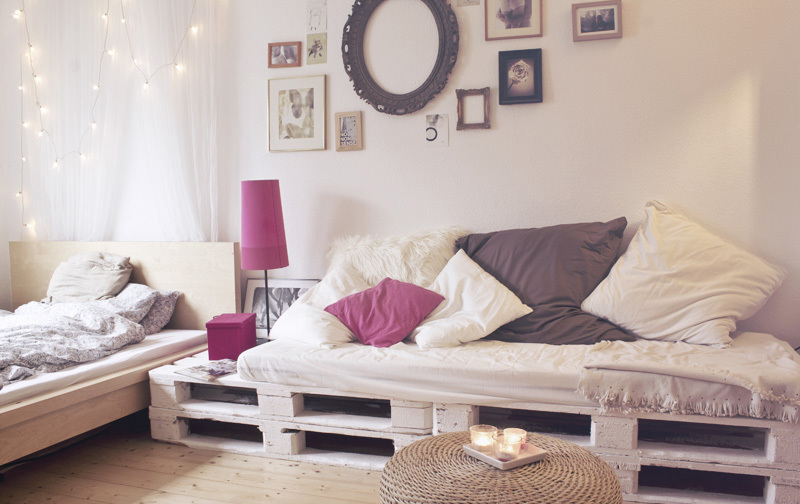 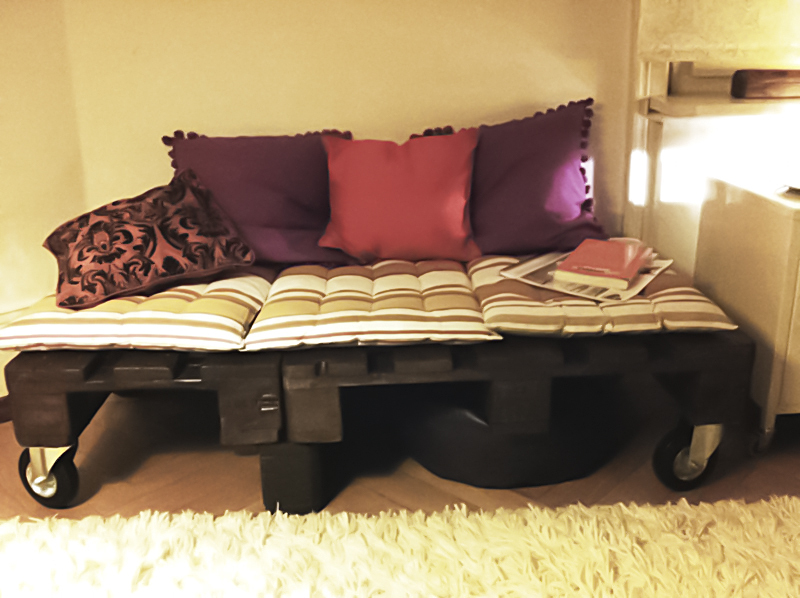 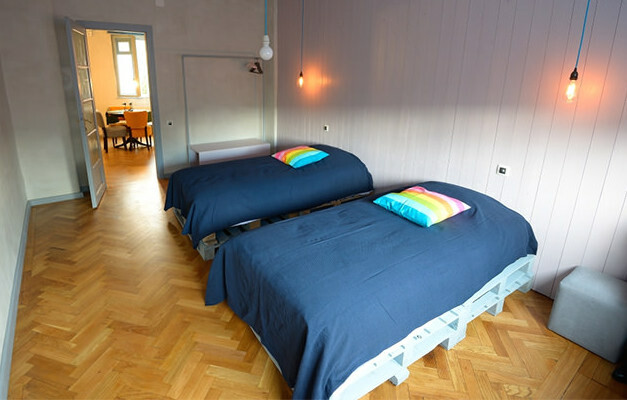 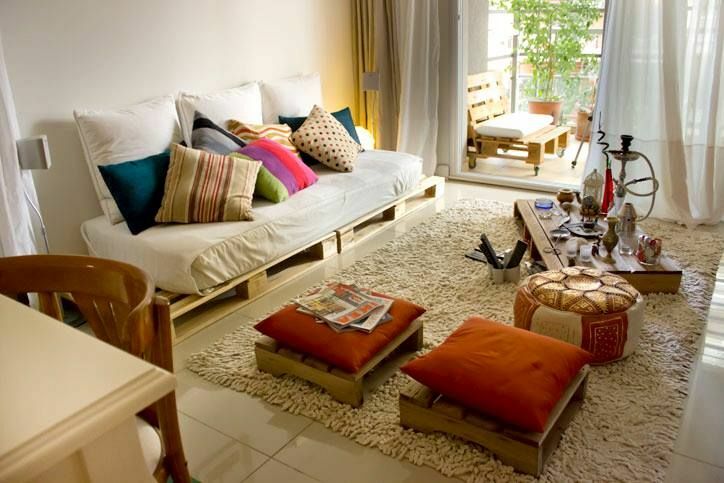 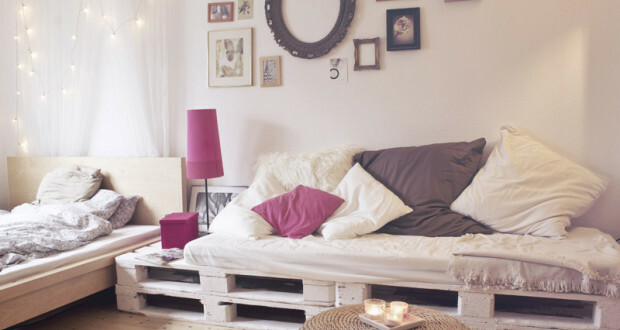 Pallet sofa and all pallet furniture bed frames are ideal for all houses and all kind of styles – from shabby chik to minimalism!